My goal for this post is to define the benefits inversion tables can provide. If you deal with back problems or have been to a chiropractor’s office, you may be familiar with an inversion table. These tables have been around for years, and remain very popular today for treating back pain. If you are not quite sure what an inversion table is, or what it does, please keep reading. I am a guy who has dealt with a lot of back problems, basically most of my adult life. I have used different inversion tables over the years. The reason I have used inversion tables is to help me recover from back-related injuries, and that is a big reason people use them in the first place. To get started here is some background information on inversion tables from Teeter. Inversion therapy dates back to the stone ages as yogis would emphasize the value of inverted poses to improve circulation and rebalance the body. Fast forward, many years, and during the 1960’s in the United States, Dr. Robert Martin introduced the “Gravity Guidance System,” a revolutionary concept addressing the effects of gravity on the human body. His simple solution was inversion therapy. Inversion struggled for a number of years due to conflicting information related to potential harmful medical effects of hanging upside down. This information was eventually retracted, but the damage had already been done, and the industry suffered as a result. The use of inversion shrank, and it took many years to rebuild the reputation of inversion. There seems to be a lot of debate on whether or not inversion therapy actually works. According to the Mayo Clinic, inversion therapy is designed to turn gravity in your favor, by taking the pressure off the nerve roots and disks in your spine and increase the space between the vertebrae. They go on to say, that inversion therapy is one way of stretching the spine (traction) that has been used to relieve back pain. 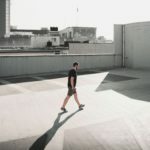 The same article by Mayo Clinic says well-designed studies have found spinal traction ineffective for long-term relief. Although some people have found traction helpful in addition to a comprehensive treatment program. In another test conducted by Newcastle Hospital, they used two groups of patients awaiting lumbar disc surgery. One group received physiotherapy (British term for physical therapy) treatment only and consisted of 11 patients. The other group, 13 patients, received inversion therapy in addition to the physical therapy. Surgery was avoided in 10 of the 13 patients (76.9%) who received both physical and inversion therapy. Of the 11 patients in the control group, who only received physical therapy, only two patients avoided surgery. For most people a 60-degree inversion angle is plenty and you don’t really need to exceed this. Therefore, as you can see from the resources above, there is some debate over the effectiveness of inverting. I have had positive results using an inversion table with strict instructions from either a doctor or chiropractor. The only time I have had an issue using an inversion table was when I tried, on my own, to go too far too fast. In 2011, I had picked up my daughter and “POP” there went a disc in my back. I had been through this before and thought I had it all figured out. I just hopped on my inversion table. However, I did not have it all figured out. I did not realize how bad my blown disc was and I was inverting at too much of an angle, so much so that it hurt. I should have gone to the doctor right away, but like an idiot, I thought I was so smart. I went to a back pain clinic and the doctor there told me I should only be using a very slight angle and I was doing more harm than good at that point. Fast forward, to 2016 when I was dealing with spinal stenosis. I was in no shape to use an inversion table for quite some time. I was bent over about 30 degrees at the waist, so lying flat on an inversion table was not an option for me. Once I was at the point in my recovery where I could lay flat and use the inversion table, it did help me out a lot. I did start at a very low angle like fifteen to twenty degrees and then over time, I worked my way up to sixty degrees. Sixty degrees is the angle I continue to use to this day. I use the table a few times per week and I really believe it helps me. Therefore, the moral of the story is to check with your doctor before you begin using an inversion table. Inverting at too great of an angle can be bad, and I have experienced that firsthand. Working with your doctor is the only way to go. In addition, your doctor may not recommend using an inversion table if you have certain medical conditions. If I sound like a broken record that is because it is important to check with your doctor before you begin using an inversion table. The premise behind inverting is that this helps to take pressure off your spine, pressure that occurs naturally, even by sitting or standing. So many people sit behind a desk a lot, and our muscles can get tight from all of the sitting, thus contributing to back pain. Many times our muscles do not have the chance to be stretched out as they should be. The best defense against back problems, in my opinion, is to build up the muscles that protect the spine. There are many exercises I perform to help strengthen my core. Check out my post here about core exercise and who can benefit. 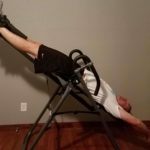 If you are in the market for an inversion table and would like to look at my reviews, you can see them here in this post. Also, click here check out my inversion table guide, to walk you through things to keep in mind when buying an inversion table. Finally, if you want to know how inversion tables work, please click here. I hope this post has been informative and you know more about inversion tables than when you started reading. If you have any more questions or comments, please use the comment section below, or send me an email directly. I will get back to you just as soon as I can. Why Do People Buy An Inversion Table And Stop Using It? I got my husband an inversion table last year after we had wanted one for a long time. We were really excited to finally have one! Like you, he dove right in and thought hanging completely upside down would be great (I don’t know that you went upside down but just that you said you went too far). He said it made his back hurt. Luckily he was ok, but he realized going straight to the 180 degree position was not smart. He started to use it at a more reasonable angle! I keep bugging him to go to the chiropractor since he hurt his back while in the Marine Corp. I would not be surprised if he had compressed discs. Since we moved we have not had it available but your post here reminds me yet again that I really want to bring it up and use it. I think the concept makes so much sense and I am glad it worked for you. Thank you, Jessica. Yes, I definitely recommend talking to your doctor before using an inversion table. For me, when I felt discomfort on the inversion table, it was only at about a 45-degree angle, so I had to back off and gradually work my way up (or down haha). I have actually never fully inverted and my chiro has told me that I should not need to. I am comfortable with about 60-degrees and I will keep doing that. Thanks for your comment, I appreciate you taking the time!